Rock-Con 2013 Pairings are official. Check out the pictures of Rock-Con gaming in our gallery. Pairings are now official. Table numbers are assigned randomly and do not reflect overall score. In episode 41 there is plenty to talk about as our hosts catch up on another long break between recording sessions with plenty of events and gaming going on. 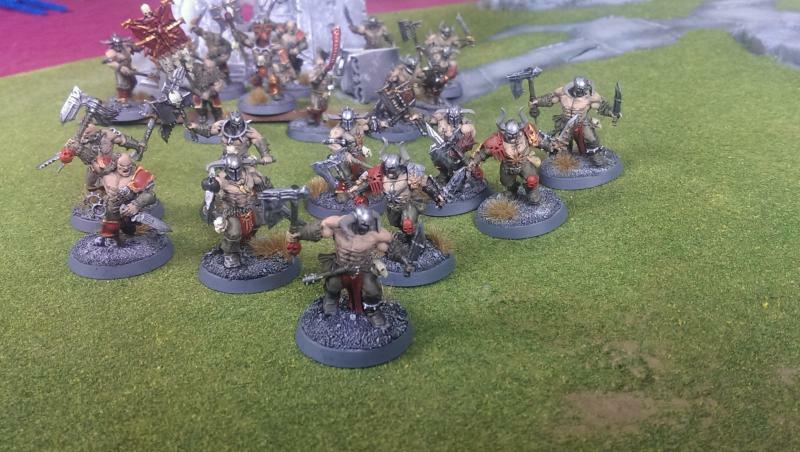 Hobby projects are talked about and like usual, Conesy’s couldn’t sit on one army project for long so find out what’s new that he’s been working on. In other news, the Dark Elves which were just released before recording are talked about with all of the new kits that came out at launch and the cool models and some early thoughts about the list are covered. We try not to cover the new books this much when they first come out because there are plenty of other shows that do this all at the same time but if you like us to do this for other books, please let us know. Conesy couldn’t contain himself in this episode. Finally we catch up on our progress after another day of hobby and terrain projects is in the books.